Artemis. 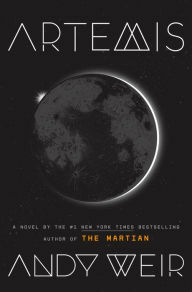 It’s a new stand alone from Andy Weir, whose first novel, The Martian, was a masterclass in producing an engaging and accessible work of sci-fi whilst also getting the science bit right. It later got made into a rather good film with Matt Damon. So Artemis has some rather large shoes to fill. So, what is Artemis? It’s…a few things, actually. The top of which is, it’s heist story. On the moon. It’s not just that, of course. The protagonist, Jasmine (“Jazz”) Bashara is being offered an opportunity to change her life – and we’ll get on to that shortly. What I’m saying is that, though this is a heist story, one where careful planning and unexpected reversals are the order of the day, it’s also a story about a woman looking to make something of herself, and the book is as much about character and personality as it is about chases through vacuum and dubious law enforcement. The world – well, it’s in some ways familiar, in others…less so. The moon is a harsh place, at least externally. It’s cold, dead, and the slightest mistake could kill you. There’s a certain sterile beauty to it, to be fair – but Weir has built a moon which can kill, and emphasises the fragility of life in that environment. The larger part of the world, though, is in the city which humanity has settled. It has a certain retro vibe to it – domes rising out of the moonrock, habitable areas underground as well as above. Relatively small, the cultural cadences of science and technology are interspersed throughout – this is a people who make up for their lack of numbers with intellectual capital and skill. The city bustles and thrives, and the industry around it – aluminium, for example – helps sustain it; it certainly feels both alive, and familiar – and at the same time, ever so slightly strange. The plot…well, as usual, no spoilers. But it’s a lot of fun. In some ways it’s a slow burn, as facets of a plan come together. But there’s enough going on at every stage to keep you turning the pages. When things do kick off, then there’s heart-in-mouth moments aplenty, tension broken with chases, brawls, and the occasional explosion. It’s a journey in exuberant prose, which is taking joy in both the science and discovery of it all, and in the personal dramas, the horrible mistakes, the bare-knuckle recoveries and the personal triumphs. 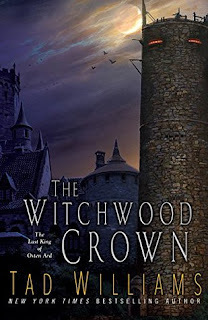 The Witchwood Crown is the first in a new series of fantasy novels from Tad Williams. I say a new series – it’s a follow up to his existing “Memory, Sorrow and Thorn” series, the last of which came out in the early nineties. That series was thematically complex, and littered with memorable characters. Fans have been clamouring for a return since the original series wrapped up and here, at last, they have it. Actually, a prequel novel (which we reviewed here) came out earlier this year, which was a direct follow up to the events of “Memory, Sorrow and Thorn”, and set the stage for this new series. 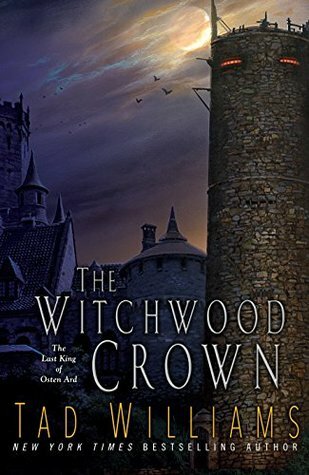 I’d say it isn’t necessary to have read that in order to enjoy this new series, but it does provide some valuable context, and an introduction to some characters which turn up again in The Witchwood Crown. This is a book which deals with the cost of endings, and the price of new beginnings. Which sounds portentous, but isn’t always. This is Osten Ard after the final battle, after the defeat of the Storm King and his minions – usually the point in the movie where the credits roll and the triumphant orchestral music plays. But here we are forty years later. The High Ward of Osten Ard has rumbled on since the wars, and since a kitchen boy married the Princess and took the throne. If things have been quiet, there are still rumblings of discontent. The Hernystiri, old allies of the kingdom, have a new leader of their own, and he seems less than impressed to be living under legends. To the south, the Nabbani, whose empire was quietly subsumed into the Ward before the original series, are indulging in inter-family squabbles and complex scheming that would make a Borgia shudder. To the north, Duke Isgrimnur, the man who drove the Norns back to their mountain fastness, is unwell. The Sithi, immortal survivors of several cataclysms, and related to the Norns, are mysteriously silent. The kingdom feels perhaps a little complacent, busy with internal politics over external concerns. Williams’ prose is as vividly clear as ever, and quickly brings the world of the Hayholt, the icy regions of the north and other environs back to life. Most interestingly, it also brings us the Norns. In the original series, they were largely faceless demons, a force antithetical to humanity. In the High Ward, there’s a mixture of the strange and the familiar – odl heroes and new blood, straining against the constraints of a familiar paradigm. The Niorns though, they’re something else. Where some of their interactions are familiar, their affection for family, and for their home – it’s often overshadowed by an uncanny feeling. They live in the bowels of a mountain, servants to the seemingly immortal queen who survived the destruction of their semi-mythical homeland, and is their surviving link to it. This has bred a society with a strict sense of duty, a degree of ancestor worship, and a need for control. For each moment of connection with the Norn, there was something else –a quirk of speech, an assumption of superiority, an emotional distance – which successfully marked them as being alike, but other. If the Norn of the past were monsters, these ones are evocatively alien – and no less terrifying for it. Williams has brought an extraordinary and extraordinarily terrible society to life. The heroes of the original trilogy now occupy the higher echelons of the kingdom(s) in one capacity or another, but forty years on, they’re older, perhaps wiser, and surrounded by a younger generation looking to make its own mark on the world. Readers of the original series will no doubt be delighted to see Simon, Miriamele and the rest of the gang again. If some of those figures – Binabik the troll shaman, Tiamak the swamplander – seem almost unchanged, still there’s the suggestion of years having passed. To new readers, I imagine Simon the high king, the commoner-king, may be a noble if conflicted figure, his patience worn down over years of fighting the same battles, his reactions to his grandson and granddaughter those of love mixed with frustration. In the context of the original series, it’s like seeing a man box with himself. The grandson, Prince Morgan carries the younger Simon’s impulsive and restless nature, and a sense of frustrated purpose – and that feeling is very familiar to those who watched Semoan grow up way back when. Speaking of Prince Morgan – this one is an absolute joy to read. There’s so much going on. The prince is feckless, yes, and something of a rake – more interested in wine and warm beds than in deciding the fate of kingdoms. But he’s also obviously intelligent, and, given the opportunity to do some good, is likely to do so. There’s hints of darker nuances in his relationship with his father, Simon’s son. But what really struck me was the frustration of growing within the shadow of a great man, being defined in a relationship to someone else, rather than for yourself. The story asks what it would be like to be related to the man who saved the world, and extrapolates from there. Morgan lives within the constraints of his family, and if not desperate to do something more, would still rather be doing something. His relationship with Simon and Miriamele seems to be one of frustrated ambition on all sides (as an aside, watching Simon deal with someone with his own temper was a special delight), but it presents that frustration as part of a layered, complex relationship, a shared history which shapes all parties. It helps that in between all his drinking, Morgan is a sharp, witty individual, and his concerns are often valid, if poorly expressed. I’m really looking forward to seeing what he does next. The plot – well, there’s rather a lot of world building. It’s necessary, and an interesting read. It helps establish the stakes, I think, when we see the high Ward at peace. But like a pot on the boil, simmering bubbles of conflict begin to appear. In many ways this feels like a book of groundwork, of foundation. It’s fascinating stuff, and there’s riots, murders and mysteries aplenty. The last hundred pages or so really steps up the pace, as the metaphorical pot starts to boil over. I’m struggling to describe things without spoilers, but I’ll say this – if there’s a lot of up-front build up to the narrative, then the payoff by its close is absolutely worth hanging around for. Is it any good then? Absolutely. If you’re a long term fan coming back for a new look at Osten Ard, you won’t be disappointed. The complex themes, the layered relationships, and the cool magic and swords are all still there, and there’s enough of the old faces mixed in with the new to make it interesting. If you’re coming to the series fresh – well, I’d suggest going back and reading the original first, but I don’t think that you have to; it remains an intriguing, cunningly worked fantasy, and one which will reward a deep reading. In either case, I’d give this one a wholehearted recommendation. Patrick S. Tomlinson’s Children of the Divide is the third in his “Children of a Dead Earth” series. The first gave us a murder mystery on a generation ship. The second dealt with the crises and opportunities of first contact and the pitfalls of colonisation as an ethos. This book takes pointers from both of its predecessors, like their snappy prose and desire to explore complex, contentious issues in a sci fi setting, and runs with them. There’s a lot going on here – from mining helium three, to kidnappings, local acts of violence backdropped against a larger, fearsome context. But to me, the thing that jumps out about this is this; it’s about consequences. Specifically, both for the characters and the world, it’s able to approach how decisions made decades ago are rippling into society today, and explore the results of those decisions – which are by no means all positive. This is a world where humanity is starting again, its technology streaming down from orbit to spin up a fairy tale colonial city. There are those who remain orbit, keeping their eyes on the heavens, and those beneath, slowly expanding the settlement below. 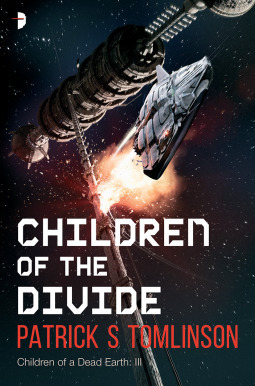 But there’s also the indigenous sentients, divided in cultural conflicts of their own. Some are happy to take the new arrival’s science, their miracle cures and agricultural tips, and otherwise let life carry on as it always has. Some stream into the city of humanity, building their own homes, their own lives, and their own dreams – becoming something new, escaping the social constraints of time immemorial. Some, of course, would rather do neither, and see humanity driven from their shores entirely. All of these are choices, and they come out of those made in earlier books. But humanity are hardly the white knights of fiction here; their interactions with the indigenes seem, at best, like benign neglect. There’s a Native quarter, with echoes of the ghetto about it. There’s not enough law enforcement officers from the indigene population. The quarter is poorly supplied with electricity or running water, and there’s a simmering tension under the surface of inter-species interactions. These are big issues, but they also come out of those earlier decisions – where humans and indigenes decided on a non-confrontational relationship – and the unintended consequences, where a power dynamic has been left unexplored and unchallenged. It’s not the worst excesses of historical colonialism, but the parallels are there beneath the surface – the worst impulses of humanity and indigene loitering under their skins. At the same time, there are some great symbols of the best of both species. Our long time hero, Benson, is now older, slower, more thoughtful. His adopted child, one of the indigenes, is coming of age – feisty, fearless, and ready to shape the world. Zer friends are, as well – sons, daughters and other-gendered entities, all stepping from the shadows of their parents. This is a new generation of protagonists, breaking away from the older traditions of their parents. Quite what they want to shape the world into – be it a multicultural society of tolerance, or something else entirely – well, that’s rather up in the air. It’s fantastic to see this sort of inter-generational handover though, and it’s very plausibly done. The teenagers, of any species, are about as insufferable and idealistic as one might expect; but they’re also a driving force for change, their white hot righteousness making them a pleasure to read, and their complex, conflicted relationships we’ve spent two books investing in giving them a depth and context that only deepens that experience. It isn’t all ideology and family drama either. For those of you that like your sci-fi with some explosions, I can safely say you will not be disappointed. There’s more than a bit of peril, and if there are moments of violent triumph, or jaw-dropping destruction, the story wants us to know about the consequences of that violence too. The broader issues are blended perfectly into some fast-paced action. There’s betrayals, murders, and, yes, explosions – wrapped around stories about how people treat each other, how things reached the state that they did, intergenerational conflict and, basically, what matters to people. I’ve always said Tomlinson wrote imaginative, interesting books that more people should read. I’ll say it again now. 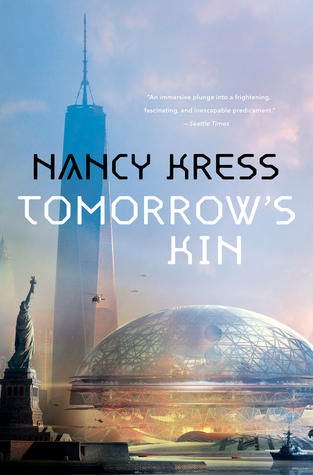 This is intelligent science fiction, with interesting thoughts on the broader human condition, wrapped in an absolutely smashing story. Catch up with the earlier instalments, then give this a read.